Erin has a passion for helping individuals and families live the healthiest and happiest lives possible. She has been trained in EMDR and can use this to aid clients in situations of past or present trauma. Please see the EMDR tab or link below for a deeper explanation on how this therapy works. Erin strives to create a safe and warm environment where individuals can be completely themselves without any judgement. 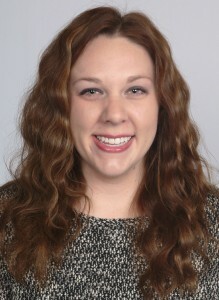 Erin received her Bachelor’s degree in Sociology from University of Northern Colorado and her MA in Counseling from Colorado Christian University. Before coming to Light of the Rockies, Erin spent time counseling at Medical Center of the Rockies. That experience prepared her to work with a myriad of situations and handle moments of crisis in a unique way. She is also certified as a Level 2 Anger Management Specialist and has a heart for those struggling in this area. She has extensive experience working with children and teens in a variety of settings and really has a heart for this work. Light of the Rockies is equipped with a play therapy room that can be utilized in counseling sessions with children of all ages.